Hari K. Digumarthi DMD MD lectured at the Eames Study Club on Monday, October 19th about Trigeminal Nerve Injury: Identification and Management. Dr. Digumarthi has received extensive training in Maxillofacial Surgery including Facial Trauma, Dentoalveolar surgery, Dental Implants, Tempromandibular joint disorders, Orthognathic surgery, Nerve injury repair, Anesthesia and Pathology. 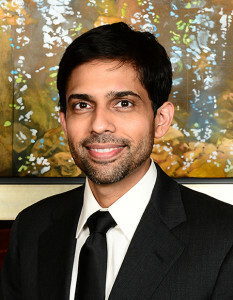 Dr. Digumarthi is on staff at Northside Hospital and is affiliated with Georgia Oral and Facial Surgery and his practice includes all aspects of maxillofacial surgery.